Every company that comes to us with a project is unique. After a consultation we break down each aspect of the job and price accordingly. Please shoot us an email or give us a call to get the ball rolling. We are excited to hear from you and to complete your vision. 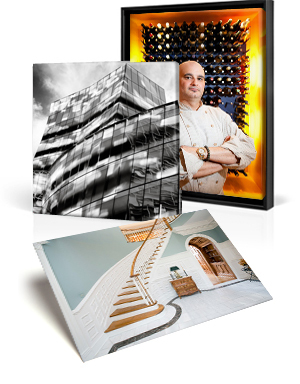 As well as a digital product we can offer to our clients beautiful prints, canvases, prints on metal and bamboo.